Why pick one color when you can pick them all? 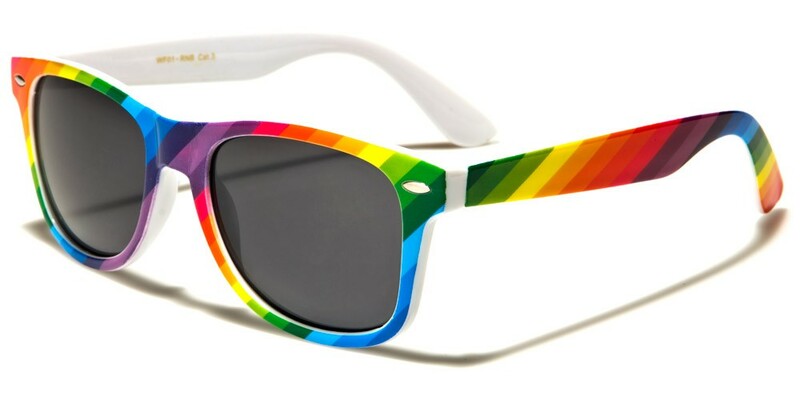 Rainbow plastic frames stand out on these traditional retro sunnies with a solid bridge and nosepads and iconic pinched silver ovals at the outer corners. Medium arms widen along their length until tapering quickly into the earpieces. Enjoy this classic style in all your favorite colors at once! These wholesale sunglasses are sold in bulk by the dozen.